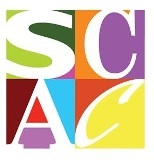 The Alabama State Council on the Arts (ASCA) awarded grants totaling $368,938 at its December meeting. The Council makes grants to non-profit organizations, schools, universities, cities, and a wide range of community groups. ASCA funds are matched by contributions from businesses, individuals, local government, and earned income by the grantee. Arts programs assisted by Council grants have a track record of enhancing community development, education, cultural tourism, and overall quality of life in virtually all regions of the state. The next deadline for the submission of grant applications is March 1, 2016 for Individual Fellowships and Art and Cultural Facilities, covering activities taking place between October 1, 2016 and September 30, 2017. Among the reappointments to the Council is Forum Board member Julie Friedman. 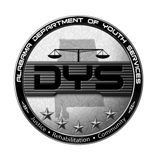 These recent grants are in response to applications submitted under the September 1, 2015 deadline and represent the third round of grants awarded in the 2015-2016 fiscal year. The 15-member board is appointed by the Governor to help promote the arts statewide. A primary responsibility of the Council is to make decisions about grants awarded to support art programs and arts education throughout the state. Board members are selected from all regions of the state in order to strive for a geographic spread representing all areas of the state. The agenda of the December meeting, in addition to the awarding of grants also included the announcement of three new appointments to the Council by Governor Robert Bentley for six year terms beginning January 1, 2016. These new appointments include Kim Mitchell, Decatur; Dr. Henry Panion III, Birmingham; and Mary White, Florence. Two current members of the Council, Ceil Snow, Birmingham and Julie Friedman, Fairhope were reappointed to what will be fourth terms for both veteran members. In other action by the Governor, current member Dora James, Opelika was reappointed to fill the remaining two year term of Lee Sentell, resigning after ten years of service on the Council. The new members include Kim Mitchell, Executive Director of the historic Carnegie Library that serves as an art museum and education facility in Decatur. With degrees in communications and studies in political science, she has served in executive positions with both television and radio stations prior to her position with the museum. She serves on a number of boards including the Alabama Art Education Association. Dr. Henry Panion’s expertise spans the musical spectrum, from gospel to classical, pop to rock, hip-hop to be-bop and everything in between. Dr. Panion is a nationally recognized composer, arranger, conductor, educator, and Professor in the Department of Music at the University of Alabama at Birmingham. He has conducted more than fifty different symphony orchestras all across the globe and has worked with such artists as Stevie Wonder, Aretha Franklin, and Carrie Underwood to name a few. Mary Wadsworth White is an accomplished visual artist, an active supporter of theatre and music, and a promoter of the arts in public education. White serves on the board for the Florence/Lauderdale Public Library, the Shoals Symphony at UNA, Shoals Family Success Center, Tennessee Valley Art Museum, and the University of North Alabama Foundation. The Council elected a new slate of officers for two-year terms through 2017. Dora James of Opelika was elected Chairman; Joel Daves IV of Mobile, Vice-Chair; and Dr. Rachel Brown Fowler of Columbiana, Secretary of the Council. For more information, contact Barbara Reed, Public For more information, contact Barbara Reed, Public Information Officer at 334-242-4076, ext. 223.